Hi, there! Lori here from ChouxChouxPaperArt! 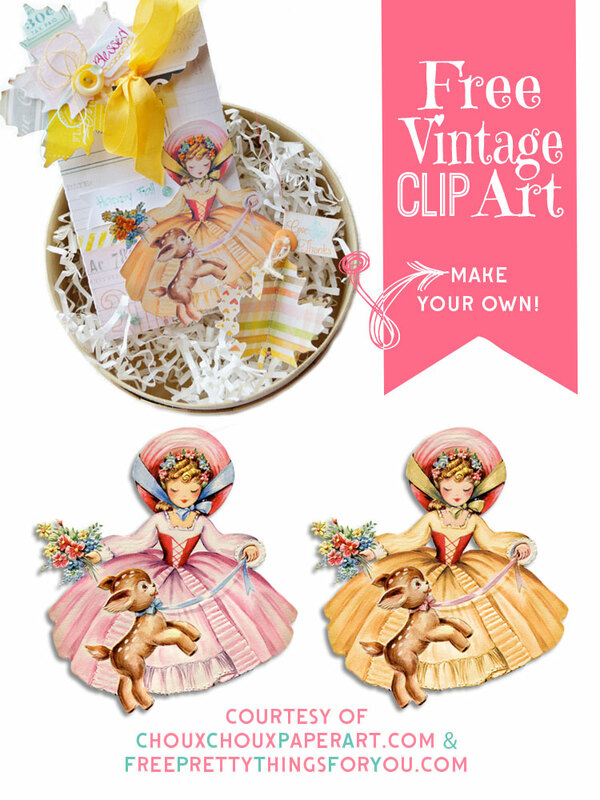 Keren and I teamed up again to bring you a couple of oh, so sweet free images! Couldn’t you make some cute things with this darling girl and her deer? I found the original card up some time ago and had tucked it away. Luckily, I remembered that I had it and Keren cleaned her up and even changed her colors to autumn, so that I could use her in a fall project, as well! I used the Spring version to make a “You’re such a dear” card – giving a little nod to that adorable deer — click HERE to see the Spring version! I added the Autumn version to a small gift bag – adorable for fall or a Thanksgiving hostess gift. Some punched leaves made a pretty decoration on the top (over to the side, so they wouldn’t interfere with the bag closure). The sentiment stamps are from Paper Sweeties. To Download click Here for the Autumn version and visit My Place to grab the Spring version! Hope you enjoy this sweet image as much as I have! 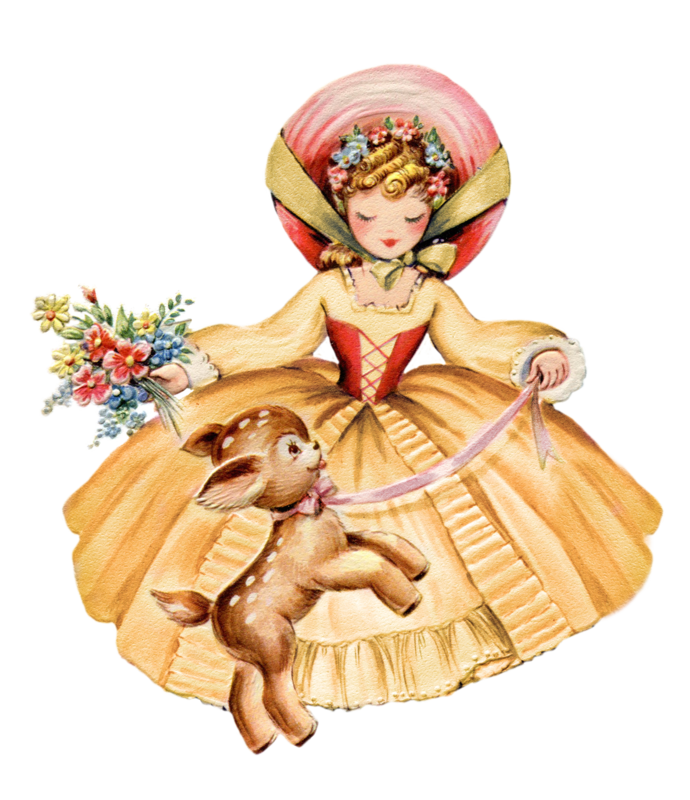 For more gorgeous clipart visit the clipart gallery here!